Cosmojin tour, travel agency specializing in tours for foreigners conducted survey about most difficult Korean food to eat on 782 foreign tourists who visited Korea during April to May. 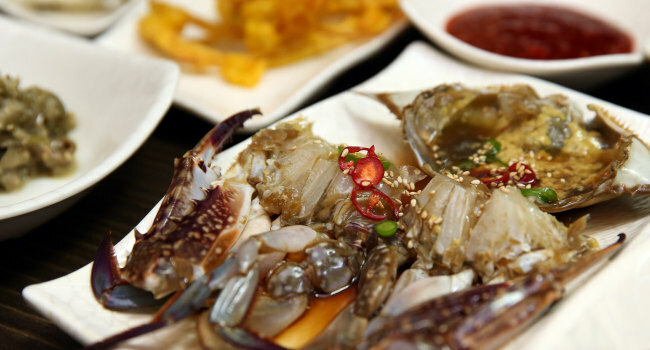 One foreign tourist said "I wanted to try seasoned raw crab in soy sauce ever since i saw people eating it deliciously in Korean dramas and reality variety shows but it was hard for me to eat since black thing was too salty and red thing was too spicy with little bit of fishy smell." "I loved the Bibimbap and Samgyeopsal (grilled pork belly) and Chimek (Korean style fried chicken with beer) was better than my expectation too." he added.